Functional - Compact - Stylish! 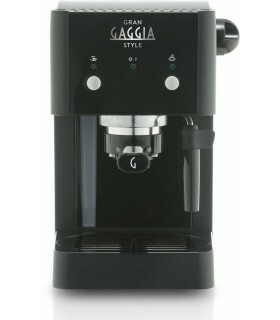 In one simple touch Gaggia Brera donates the pleasure of a cup of espresso. The tradition meets the modern technology to satisfy every need easily. The operation interface of Gaggia Brera was studied to give an immediate access to all functions and options. 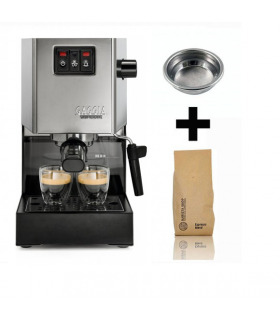 In this way the user can select the aroma of coffee regulating the amount of ground coffee for each cup (from 7g to 10,5g) and memorize the dose at the mere twist of a button. The innovative Adapting System consents to the machine, even changing a coffee blend, to optimize in a few cycles the extraction of coffee. Gaggia Brera was created with a special attention to energy saving: the model can be classified in A class (according to Swiss voluntary Energy Labelling Regulation, FEA agreement) and in standby mode the electric power consumption of the machines is less than 1 Watt. 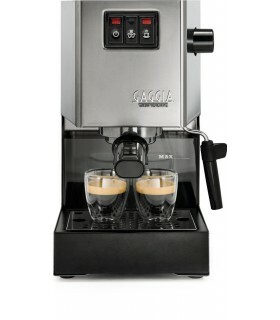 Gaggia Brera is a 'Class A' machine and has less than 1W energy consumption in stand-by mode.